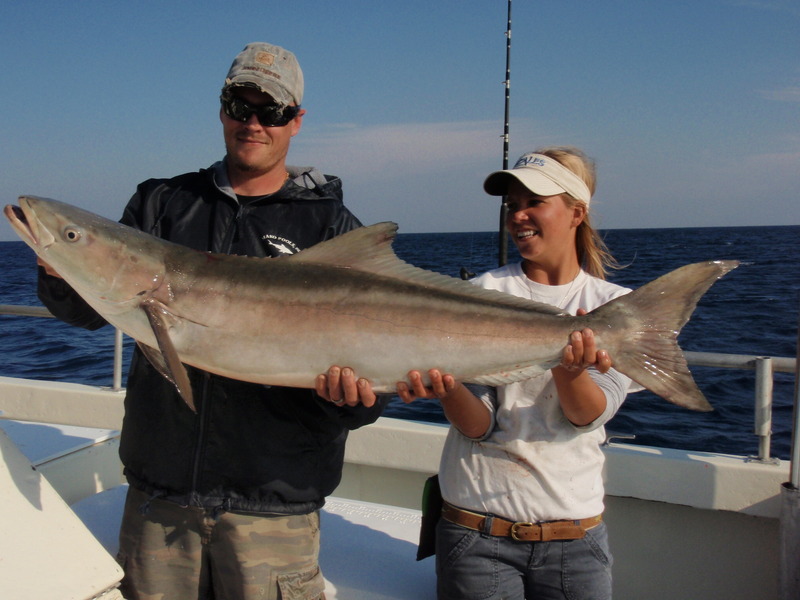 Mate Chessy helps Brad display his 52 pound Cobia caught aboard the Lady K this past weekend. A day of fishing was his gift for Valentine’s Day and the reward was a hard fifteen minute battle on 30 pound test tackle. Brad worked the fish to the gaff calmly and now has his largest Cobia to date thanks to the crew of the Lady K. Perfect teamwork by everyone! Mia (r) fished Valentine’s Day in the morning and was rewarded with this sweetheart of a Mahi Mahi to bring home for dinner. 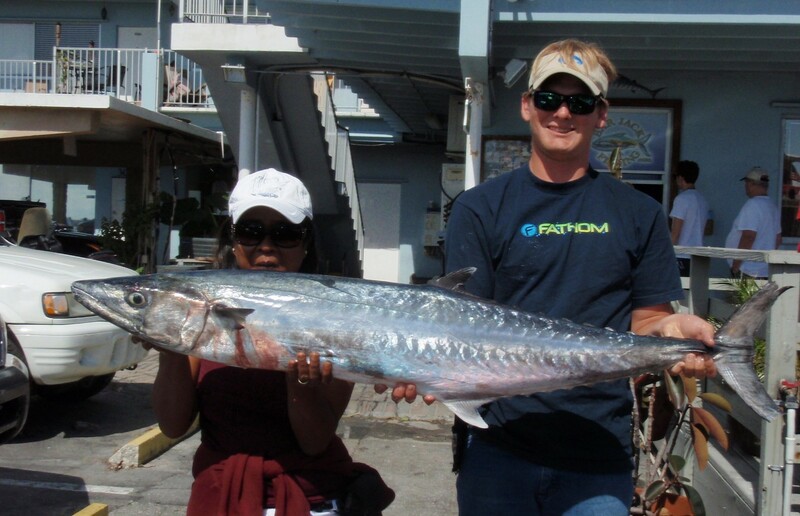 Mia is a fishing machine and not only did she land a nice winter Mahi Mahi, but also the 35 pound King Mackerel pictured below with mate Spencer. These big bad fish didn’t stand a chance after being hit by Cupid’s arrows and sending them directing to the Lady K and her women anglers. Great job ladies! All three of our daily trips have been producing nice quality fish for anglers. 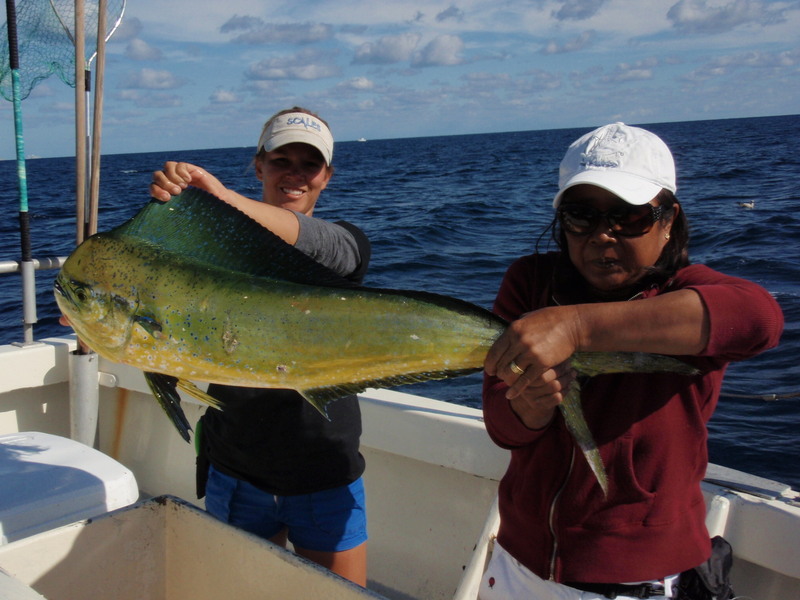 Mornings have been producing Mahi Mahi, Cobia, Snapper, Truggerfish, Porgies and a few other surprises. The afternoon trips are a touch warmer with anglers catching a few Mahi Mahi, King Mackerel, Snapper, Porgies, Cobia and other bottom fish. 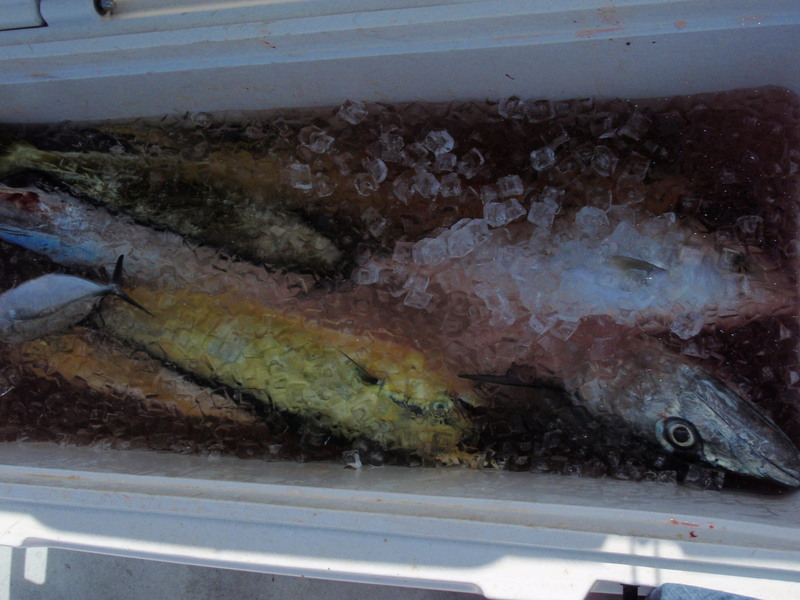 The evening trips have been producing nice Lane Snapper, Bluefish, King Mackerel, Banded Rudder-fish and small Sharks. Be sure to bring an extra jacket when fishing the evening trips for the winds can get a bit chilly at night. Treat yourself, family and friends to a half day of fun under the South Florida sun. No reservations are needed, just show up at the dock and buy your tickets. Allow our clean, courteous and professional crews to take care of your needs – from baiting your hooks to giving one-on-one instructions and tips on to be more successful at fishing. Come on out and enjoy a day aboard the Lady K.